DesqView File Manager version 2.2. Excellent program. DV Tree Version 2.2 (c) 1990-1991 Michael D. Weaver. DVTREE.EXE - The DV Tree executable program. INSTALL.DOC - Complete installation instructions for DV Tree. DVTREE.DOC - The manual, or 'user's guide' for DV Tree. DVQUICK.REF - A 'quick reference' sheet summarizing options/commands. NOTES22.DOC - Summary of changes since DV Tree Version 1 (DVTREE19). DEAL.REG - A registration deal for DV Tree and DV Task Manager. ORDER.FRM - A fill-in form to make registration easier. CREDITS.LST - Recognition of those who've helped DV Tree stay alive. TS-PIF.DVP - DESQview PIF (Program Information Files) for DV Tree. TZ-SCRIP.DVS - Script files to auto-load TL-SCRIP.DVS. batch files useful in archive management. DVTXDI.COM - Optional TSR for users running DESQview 2.26 + . DVTXDI.ZIP - Documentation and supporting files for DVTXDI.COM. DVSCRIP1.ZIP - An editing aid for DESQview scripts. it also contains a few enhancements, some of which you might find useful. and is not 'crippled' in any way. follow the installation instructions contained in INSTALL.DOC. is IBM graphics-capable, please consult your printer manual. any old copy of DVTREE.COM. 2) Add the TZ-PIF to DESQview via Add a Program if desired. 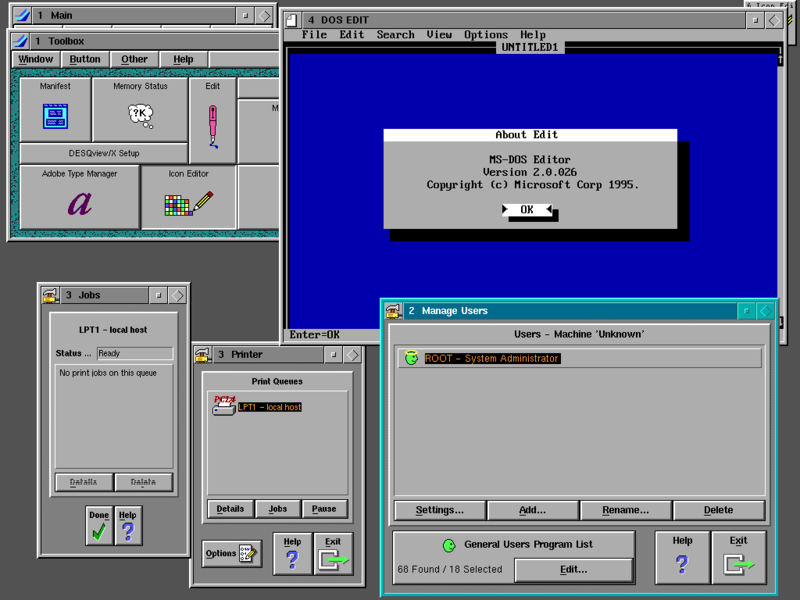 running the old version of the program. F-Key definitions, on the other hand, should be okay. prompt for entering DV Function startup codes. in the manual in the section SETTING UP A HELP SYSTEM FOR DV TREE.